Brampton has its own celebration of food! The Brampton Downtown BIA (Busine..
On November 24th, Joey’s Deli reopened with a whole new look in downt.. Strip malls are not usually the first place I think to go to when looking f.. Fish and chips is usually associated with pub grub and a typical English pu..
I’ve always wanted a little twist in my samosas; chickpeas or maybe s.. In a local tea-shop, award-winning author Jael Richardson reads aloud a quo..
It’s time to explore the Brampton music scene. The Brampton Music Col..
Have you heard of ROM Night Live or AGO First Thursdays? Art Is Now is Bram..
What’s new with musician David Usher? Well he’ll be speaking at..
Over the weekend, Drake and Future released a mixtape, What A Time To Be Al..
From December 18 to 27, travel through the festive streets of downtown Bram..
Don’t sit around waiting for New Year’s Eve in Brampton to cree..
City council unanimously passed a motion last week to help support any refu.. BIOGRAPHY Hamraj Gill is a Brampton writer studying photography art OCAD Un..
We did the research on the best places to be on St.Patty’s day so you don’t have to! Think local this St. Patrick’s day. With drink specials, live bands and irish pub food classics, here are just a few of the better options for your St. Patrick’s day celebrations in Brampton. Located at Queen Street and Theatre lane, Track’s has quite the night in store for its St. Patrick’s day patrons. Starting at 7 p.m., they’ll be featuring Irish bands and Irish Pub fare like fish and chips and shepherd’s pie, along with excellent drink prices. Come out for their great atmosphere and great food. With a six month waiting list for their stage, rest assured that Oscar’s Roadhouse has a great night planned for St. Patrick’s day. Call ahead to reserve a table since it’s often standing room only. From 5 p.m. to 9 p.m. there will be live music from Double Trouble, live trivia throughout the night and, prizes for all those who come out. 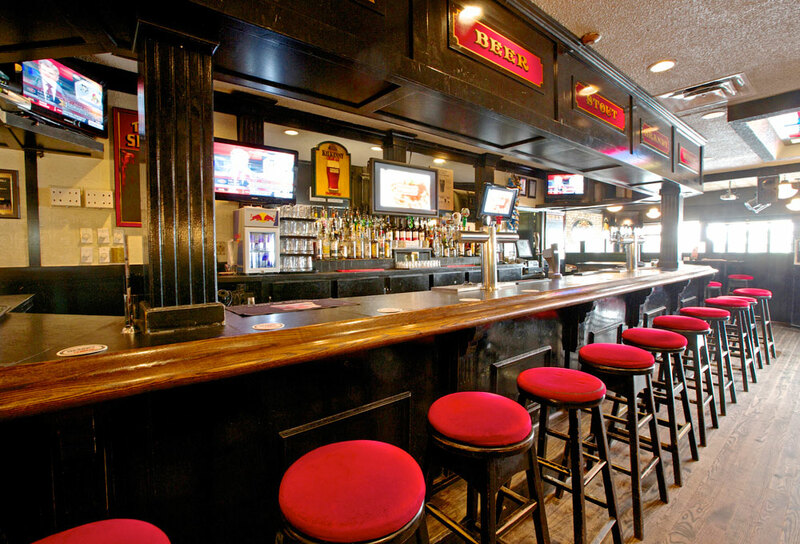 Expect more Irish pub fare and a great atmosphere. This Tuesday is truly double trouble with half price wings and domestic tallboys for $4.25. One of Brampton’s staple venues, Keltic Rock is featuring live bands as well as a DJ on the ones and twos. Located at Sandalwood Parkway and Kennedy Road, this large bar is often crowded and is known for its live music. If you’re looking for a show on St. Patrick’s day, definitely consider Keltic Rock, and grab some Bangers ‘n Mash while you’re there. Magnum’s has one of Brampton’s best pub atmospheres and great staff to boot. Live bands will start performing at 8 p.m. and the night is Irish themed: wear green and expect green beer. Irish themed drinks run for $4.96 and all shots are under $5. Located close to the downtown bus station, Magnum’s is great option if you’re looking for a smaller venue than Keltic Rock, but a similar night of music and reasonable prices. But heads up, this place can get quite busy, so come early. Central to Brampton night life is the synonymous Frigate and Firkin. If you’re in Brampton, chances are you’ve been here. With a full menu featuring yorkshire pudding, pot roast, shepherd’s pie and other great pub fare, Frigate and Firkin has great food options. Get two Guinness for $12 while you’re there. Announcement: It’s Been One Crazy Year, Thank You. 4C is a website designed to connect the Brampton community. We present an exciting and engaging way to experience the food, culture, art and life of Brampton. With a team dedicated to providing the best of Brampton, we present stories that get you excited about our community. Copyright © 2015 4 Corners Brampton | All rights reserved.